Brian Yorkey is an American playwright and lyricist. His works often explore dark and controversial subject matter such as mental illness, grief, the underbelly of suburbia, and ethics in both psychiatry and public education. Yorkey was born in Omaha, Nebraska, where he was raised, before his family moved to Issaquah, Washington. He graduated from Columbia University in 1993, where he served as the Artistic Director of the Varsity Show. He is an alumnus of the BMI Lehman Engel Musical Theater Workshop. Prior to bringing Next to Normal to Broadway, Yorkey was affiliated with Village Theatre in Issaquah, where he began as a KidStage student and eventually progressed to a seven-year tenure as Associate Artistic Director. Four musicals written by Yorkey—Funny Pages (1993), Making Tracks (2002), The Wedding Banquet (2003), and Play it by Heart (2005)—were staged there. While at Village Theatre, Yorkey founded the KidStage Company class which teaches teens to write, direct, and perform their own musicals. Yorkey's frequent collaborator, Tom Kitt, joined him in assisting with the score to the 2008 Company Original, In Your Eyes. He worked with composer Tim Symons, on other Company Originals such as Last Exit and A Perfect Fall. During Yorkey's tenure as Village Theatre's Associate Artistic Director, he developed a comprehensive new works program, Village Originals. The Village Originals program develops approximately ten new musicals each season, in various stages from reading to full production. Yorkey is credited with the development of over 50 new musicals, including the 2010 Broadway musical, Million Dollar Quartet, which was nominated for Best Musical, Best Book of a Musical, and won Best Performance by a Featured Actor (Levi Kreis) in a Musical at the 64th Tony Awards. Next to Normal began as a ten-minute-long piece called Feeling Electric, which recent college graduates Yorkey and Kitt wrote as a final project for the BMI Musical Theatre Workshop at the end of the 1990s. Their inspiration was a segment about electroconvulsive therapy Yorkey saw on Dateline NBC. Next to Normal was nominated for a total of eleven Tony Awards, including the Tony Award for Best Book of a Musical. The show won the 2009 Tony Award for Best Original Score, and Tony Award for Best Orchestrations. In 2010 Yorkey and Kitt were awarded the Pulitzer Prize for Drama for Next to Normal, citing "a powerful rock musical that grapples with mental illness in a suburban family and expands the scope of subject matter for musicals." In 2013, Yorkey's musical with Kitt, If/Then, starring Idina Menzel, LaChanze, and Anthony Rapp, had its pre-Broadway try-out at The National Theatre in Washington, D.C. The musical subsequently opened on Broadway on March 30, 2014. The musical garnered a Tony Award nomination and Outer Critics Circle nomination for Best Original Score for Kitt and Yorkey, as well as a nomination for Best Performance by a Leading Actress for Menzel. In 2014, Yorkey's collaborative work, with Sting and co-librettist John Logan, The Last Ship opened on Broadway. The musical is loosely based on Sting's album "The Soul Cages" (1990). It opened on September 29, 2014. Yorkey and Logan were nominated for an Outer Critics Circle Award for their book. He co-wrote the book and lyrics, with Melanie Burgess, to Jesus in My Bedroom, an original musical, with a score by Tim Symons. Jesus in My Bedroom received a reading at Village Theatre's 13th Annual Festival of New Musicals. He wrote the music, with Kitt, for a musical version of Freaky Friday with librettist Bridget Carpenter. Freaky Friday is produced by Disney Theatrical Productions, and had its World Premiere at the Signature Theatre (Arlington, Virginia) in October 2016. The musical began performances at the La Jolla Playhouse, San Diego, on January 31, 2017 running to March 12. The cast features Emma Hunton and Heidi Blickenstaff. Yorkey adapted Jay Asher's bestselling novel, 13 Reasons Why, for Netflix, Paramount Television, and Anonymous Content. It was released on Netflix in March 2017. 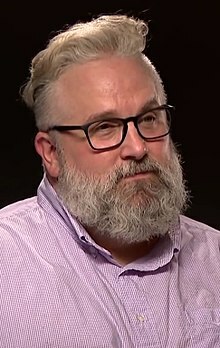 He scripted Sluts for Lionsgate Films and co-created the series The Bears Next Door for the Logo network. His first feature film pitch, Time After Time, sold in a bidding war to Universal Pictures. It is now fast tracked at Lionsgate/Summit with Brad Buecker (GLEE, AMERICAN HORROR STORY) directing. Yorkey is adapting Next to Normal's film adaptation for Anonymous Content and an untitled fashion musical for Paramount Pictures, Walter Parkes and Laurie MacDonald. Yorkey and Kitt are also developing Score!, a theatre camp musical for Robert Downey Jr. to star in for Warner Bros.
Yorkey is working with Tom Kitt on a musical adaption of Magic Mike, with Roberto Aguirre-Sacasa writing the book. ^ "Musical about life choices comes to Segerstrom". LA Times. Retrieved October 16, 2017. ^ "The Marriage of True Minds | Columbia College Today". www.college.columbia.edu. Retrieved 2018-11-29. ^ "Brian Yorkey: Writer". playbill.com. Retrieved September 16, 2016. ^ Bio; archived July 29, 2010. ^ Truzzi, Gianni (January 15, 2009). "A moment with ... Brian Yorkey/director". Seattle Post-Intelligencer. Retrieved 2009-05-06. ^ "Brian Yorkey – Playwright". Doollee.com. 2003. Retrieved 2009-06-09. ^ Hughes, David-Edward. "The Wedding Banquet at the Village Theatre". Seattle. Talkin' Broadway Regional News and Reviews (talkinbroadway.com). Retrieved 2009-06-09. ^ Berson, Misha (March 25, 2005). ""Play It By Heart" is a rags-to-rhinestones musical tale". The Seattle Times. Retrieved 2009-06-09. ^ "Village Theatre Originals". villagetheatre.org. Retrieved 2016-04-22. ^ Marinik, Molly (June 2, 2009). "The Popdose Interview: Brian Yorkey". Popdose.com. Retrieved 2009-06-09. ^ Read, Kimberly; Marcia Purse (May 16, 2009). "Interview with Brian Yorkey – Writer and Lyricist of Next to Normal". about.com. Retrieved 2009-06-09. ^ "Writing The Last Ship". Huffington Post. 6 May 2013. Retrieved January 31, 2017. ^ "VTDB Shows". vtdb.org. Retrieved 2016-04-22. ^ "Selena Gomez and 'Next to Normal' Writer Brian Yorkey's 'Thirteen Reasons Why' Adaptation Is Officially a "Go" at Netflix". Flavorwire. Retrieved 2016-04-22. ^ Kitt, Borys (3 December 2010). "Robert Downey Jr. Attached to Star in Musical From 'Next to Normal' Team". The Hollywood Reporter. Retrieved 11 March 2018. ^ Fleming Jr., Mike (3 December 2010). "Musical Comedy Set With Robert Downey Jr". Deadline. Retrieved 22 May 2017. ^ Shady, Justin (2 December 2011). "Yorkey: Screen meets stage in unusual career path". Variety. Retrieved 18 April 2018. ^ MacAtee, Rebecca (July 24, 2013). "Magic Mike, The Musical Heading to Broadway, Channing Tatum Confirms". Eonline.com; accessed September 16, 2016.